Plymothian Transit: Third best road in Britain? Third best road in Britain? 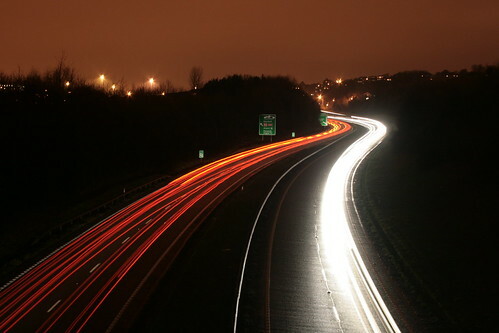 The a38 between Plymouth and Exeter has been voted one of Britain's best roads.New research from YouGov, for satellite navigation company Garmin, places the Devon Expressway third in a poll with motorists. Only picturesque stretches of the A591 between Keswick and Lake Windermere and the A82 from Glasgow to Fort William in Scotland beat the A38. At first I was quite surprised by this but I can kind of see their point. I guess I have always seen it as a really boring stretch of road which always seemed endless. It was always the necessary evil. On any long road trip away, you always felt you were 'nearly home' when you left the M5 but then it seemed to take ages! While doing some very basic research (well a Google search anyway) I have come across a few sites that take a good look at the A38 with this gallery on Fotopic containing over 60 photos taken from a car journey along the Expressway. This is the opening paragraph on the A38 page of the excellent cbrd web site which is well worth exploring as there is masses on information on British roads contained in its database. The A38 has its own Wikipedia entry here. Not like that bloody Novorissisk (is that the right spelling?) Way! As a matter of interest what serves Estover (Keswick Crescent in particular) nowdays? Crumbs - that comment was quick! I guess you mean buses Keswick Crecent is served by the 50 and the 46/47 at the moment. We did loose the 46/47 for a while but they have given it back to us again. I do actually catch the 52 quite often, but that's mainly because of my friends who catch it can be a bit of a laugh to start the day. Usually though I am too lazy to walk up the hill! I'm now living in Cumbria and as a Devonian it pains me to say it but the A591 is something else. I've seen quite a bit of it recently!